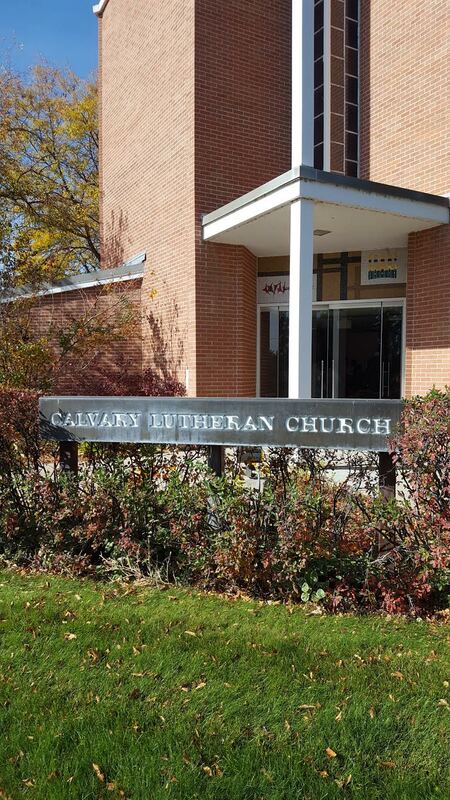 This past weekend I was invited to preach at Calvary Lutheran Church in Scottsbluff, Nebraska. Calvary is served by pastors Sheryl and Chris Kester Beyer. 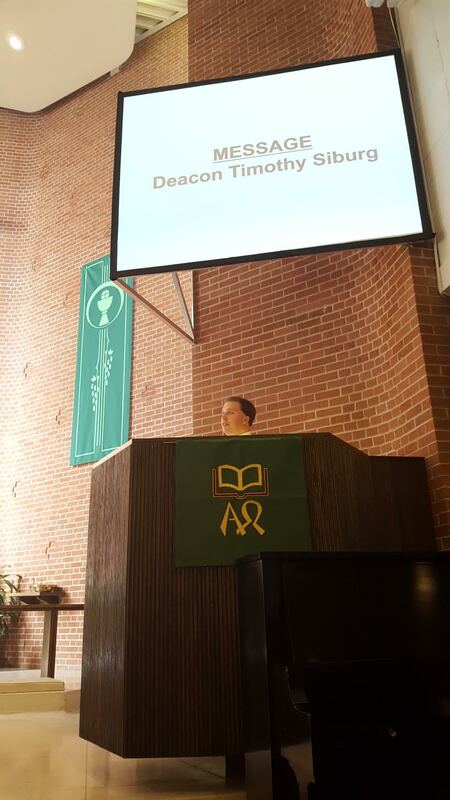 I preached on 2 Samuel 7:1-17, the focus text for the Narrative Lectionary for the day, and as part of the congregation’s stewardship focus and Consecration Sunday. If you prefer to listen, the congregation shares their sermons via podcast here, otherwise what follows below was the majority of the manuscript I had prepared. Grace, peace, and good morning! It’s great to be with you this morning, and thank you so much to Pastor Sheryl and Pastor Chris for the warm invitation. 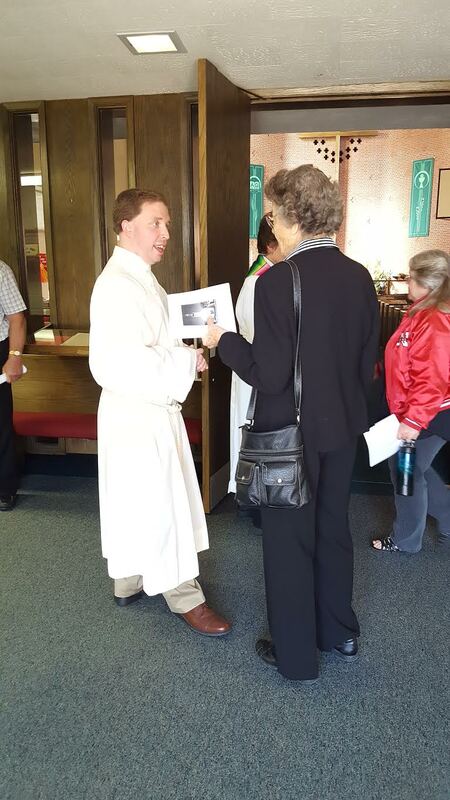 Again, I am Timothy Siburg, the new Director for Stewardship of the Nebraska Synod, and I am excited to be here with all of you. I bring greetings from the entire synod staff, as well as from across the synod and the other 244 congregations. To be able to preach on your consecration Sunday is a great joy and privilege, and I am grateful for that, and for your welcome, so thank you. Rehashing the Story- What’s Going on Here? Last week you heard about God’s answer to Hannah with the birth of Samuel, and songs of God’s love, care, and concern for those in need. Today we have moved onto the next book in the Bible, and after the point in which Saul has been king of Israel and is no longer king, and God has had Samuel anoint David, who is now the king of Israel. I love this passage, even though on the surface it might seem a little confusing, and we don’t often hear it in worship. In today’s story, we have the relatively new King David, and Nathan who is his priest and prophet whom God speaks to David through. When I have read this dialogue and story, and some stories like it in these historical books, I have tried to imagine a play on a stage. King David has finished fighting, at least briefly, and is having a chance to rest and enjoy his house. He has put down his weapons and armor, his strategic brain for attack and defense planning, and is able to sit, smell the aroma of the cedar, and put his feet up. David seems to feel a sense of guilt that while he enjoys his home, the ark of God rests in the tabernacle, a tent, while he enjoys the beauty of his cedar home. He’s thinking, how is this? This can’t be right, that the Lord has a measly tent, while he has a majestic home to call his own. With this thought, he considers building God a house or temple and tells Nathan of his plans and ideas. Of course, God has not asked David to do any of this. That night, after David and Nathan have talked, God came to Nathan and told him what to tell David. Nathan has this vocation of being a prophet and priest, as God speaks through him. Through Nathan, God reminds David of what God has done. God recalls what God has already done, bringing back memories of prior battles and how David was led to victory, and of how God has been present with him. Nathan sees and hears from God, about God’s plans for what God will still do with, through David, and in the future after David. I imagine that this came to Nathan in a long vision, dream, or conversation with God. Because there is a lot here. Though it doesn’t overly clearly happen in this passage, we assume that Nathan does in fact pass along this message to David and that David hears and understands it. If you read on in the chapter after this reading, David offers prayers and thanks of gratitude to God for what God has done and promises to do, making it seem as if God’s message through Nathan has gotten to David, and David has understood what God is saying. God says to David, “I will raise up your offspring after you, who shall come forth from your body, and I will establish his kingdom… Your house and your kingdom shall be made sure forever before me; your throne shall be established forever.” That’s quite the promise. And as we move through these books in the Old Testament or Hebrew Scriptures, you will notice that this marks a change. Here, God’s covenant with David is established for the first time. That is, this is the promise, that not only is God with David and will be with David and his lineage, that God will establish the kingdom of Israel, of God’s people, through him. This little baby Jesus will be born in the city of David, and as later prophets after Nathan will prophesy and the Angel Gabriel reminds, he will be king, Messiah, and Savior. This baby, generations after David will be the one through whom the kingdom of God most clearly begins to break into the world… and well, you know the rest of the story. Obviously this isn’t the first time that God makes promises, and certainly will not be the last. God promised Abraham a legacy of descendants and lineage as numerous as the stars, as you heard about last month. A couple of weeks ago, you dug into the story of Passover and the promises of God’s deliverance. Today’s promise is one of legacy, in line of God’s promise to be with God’s people. And in a few moments, we’ll recall God’s promises that God is “for you,” and with you through a simple meal around the table. God has claimed David and Israel as God’s own, just as God has claimed and continues to claim all of God’s children, and us, by name through the water and words of promise in baptism. God knows David, just as God knows us. And because of this, God’s promises are possible and they matter. This relationship with God is a gift. It’s a pure gift. And it’s something that David, though far from perfect, and you can read all about that if you read the whole book of 2nd Samuel, gives thanks for. God loves and forgives David just like God does for us. And David wants to do something because of this love. David wants to build a temple, or a house for God. Maybe it’s out of pure gratitude. Or maybe it’s out of the hope that God might do more for David if David does something for God. If that’s the case, David does not yet know what gifts from God mean, and that they are just that, pure gifts we cannot earn or merit. God sets the record straight about the temple, and of course, a temple will indeed be built for God after David. But that’s not for David to build. And ultimately, David remembers this and gives thanks in abundant gratitude. What do you give thanks for? How do you give thanks? Two big stewardship questions, that are part of what it means to be a steward. 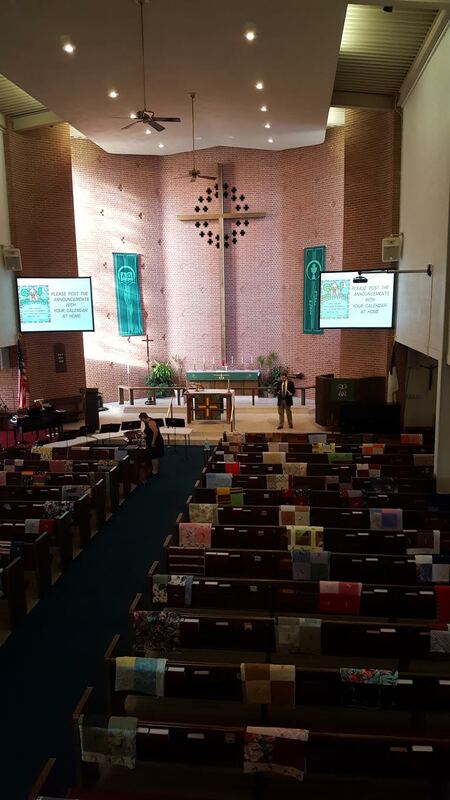 One of the legacies in this congregation, are the beautiful quilts that are made and sent to Lutheran World Relief (as seen across the pews prior to worship). Part of what I think David is doing though by wanting to build a house for God, is to leave a legacy. Stewardship, since that’s my area of focus, is often about how well we set up those who come after us to succeed, thrive, and grow. And David, with his gifts, faults, sins, and all, is able to do that for Solomon. Like many parents, David wonders perhaps, what will the world look like for my children? What will it look like for Solomon? What kind of world do I want for my kids? What kind of faith and relationship with God do I want them to know? Stewardship is not a stagnant thing, but an active one. It’s one that is on-going and linked very much to our identity and relationship as children of God, and is a response to the pure gifts of God and the gospel. How do we live? How do we grow? How are we changed by these gifts? How do we use or steward all that we have and all that we are- our time, passions, stories, gifts, resources, vocations, all that God has entrusted to us? David has been entrusted with much. He has been made king, yet is hardly perfect. He has been entrusted in today’s story, with the knowledge of the promise of God’s continued love and presence, and that his kingdom will be made sure forever. Put another way, God has revealed to David through Nathan, that God’s own kingdom will come and break-in through David’s line. That’s quite the gift and legacy. But what will that look like? How will David steward that knowledge, and leave a legacy for his son and all that may come after him? I think for David, this means living a life of faithful gratitude. Of confessing and being forgiven, but also of constantly giving thanks to God for what God has done and will do, and for listening to God, to lead, serve, and be with the people and communities around David, as his joyful response for all that God has done and continues to do. I imagine that this is something many of you ponder. I have heard a few stories of salt of the earth farmers and ranchers in this state, who want to do well with what they have, to help those who come after them, and to help all those around them, however they can. These stories remind me of a salt of the earth servant from my hometown in Washington State. In my hometown of Poulsbo in Western Washington we don’t have many farmers or ranchers, but we did at least while I was growing up have a smaller town feel not far from the metropolis of Seattle. In meeting and greeting following worship, I heard from this woman that she has family in Poulsbo. With the smaller town feel, came relationships and stories that have stayed with me. One in particular comes to mind. In my home congregation, we had a number of down to earth people, who had worked hard but also quietly given out of their abundance and great generosity. I am thinking about my friend Jim who passed away a couple of years ago. Jim had grown up in the deep south, and served in the army. After his service, he ended up meeting his sweetheart Lorraine and together they ended up in the Seattle area. Jim would end up having a long career managing a local grocery store, and through that, got to know so many people in the town, and the town them. I didn’t know Jim when he was in the grocery business, only after he had long retired. But I had heard stories of how he had created jobs for people who needed them, including my uncles while in school. That he found a way to always create more opportunity, and with what he had, to share it widely and quietly in the community. He was a steward, and in his own way, a philanthropist because he was grateful and wanted to give others a chance to live abundantly as he had. Jim and his wife Lorraine also later helped my parents, two young adults at the time wanting to start a family, to be able to afford a down payment on their home. They didn’t need to do this, but offered it because they saw in my parents, two people starting out whom they could help without strings attached. This story of generosity was told over and over again at Jim’s funeral. For me, and for my wife Allison, we experienced this generosity first hand through the way Jim helped support us in our seminary costs, and even generously as we started out as newlyweds. Jim didn’t need to do any of this. But he felt called to do it, and that he had the capacity to help in this way. I am sure you all know of people like Jim in your life. Perhaps one of you is like Jim to others you know? I am thinking of Jim today, because he was a servant. A child of God. Not perfect, but loved and one who loved. He, like David, lived faithfully and was grateful. And he wanted to give thanks to God, and to steward what he had been entrusted with as a way of leaving a legacy. He also claimed God’s promise of new life. I wonder today, what are the stories you could tell? What are you grateful for? How might your unique passions, stories, gifts, and vocations lead you forward, and have led you to today? I am thankful for each of every one of you. For your faithfulness, for your welcome and hospitality, and for the way each and every one of you responds to the gifts and promises of God in your beautiful and unique life stories that are part of God’s on-going story in the world. As today is Consecration Sunday, may you feel assured of your calling, grateful for what God has done and continues to do, and feel a renewed sense of energy and passion to explore what God might be doing, and to see how you are a part of God’s work of kingdom building and love. Amen. Sara Koenig, “Commentary on 2 Samuel 7:1-17,” http://www.workingpreacher.org/preaching.aspx?commentary_id=2986.